China's new bullet train 'Fuxing' or rejuvenation has a speed of 400 kilometres per hour. 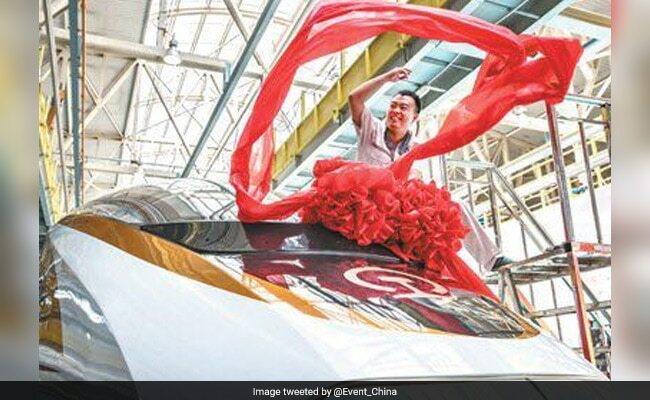 China's indigenous next generation bullet train, with a maximum speed of 400 kilometer per hour, made its debut today on the country's busiest Beijing-Shanghai line. 'Fuxing', a CR400AF model, boasts a top speed of 400 kilometres per hour and a consistent speed of 350 kilometres an hour. The Beijing-Shanghai line is the country's busiest route used by 50,5000 passengers daily.